The Bioprocessing Industry-An Introduction. Safety of Disposable Systems. Containers. Mixing Systems. Disposable Bioreactors. Connectors and Transfers. Controls. Downstream Processing. Filling and Finishing Systems. Filtration. Regulatory Compliance. Environmental Concerns. Epilogue. Bibliography. Index. Sarfaraz K. Niazi has been teaching pharmaceutical sciences and conducting research in the field of drug and dosage form development for over 35 years. 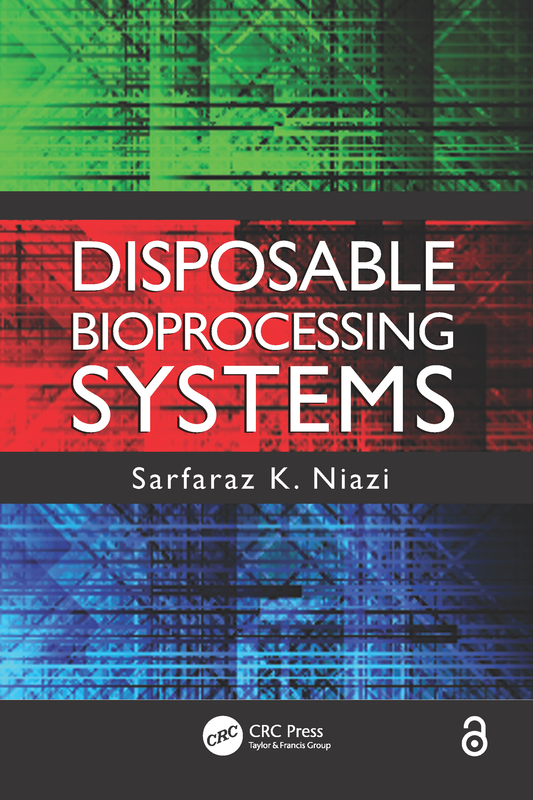 A former professor at the University of Illinois, Dr. Niazi has written over a hundred papers, dozens of books, and owns dozens of patents for his inventions in the field of drug development and biopharmaceutical processing, including patents on novel bioreactors. His first book on the subject, Handbook of Biogeneric Therapeutic Proteins (CRC Press), was widely received as a primer in the field of biological manufacturing. Niazi has hands-on experience in designing, establishing, and validating biological manufacturing facilities worldwide. He lives in Deerfield, Illinois.